When I finished this hat, I was sitting on the couch, holding it in my hands, and the first thing that came to mind was... "Well now, ain't you cute as a button?" And that's how I named Button, my new pattern. This is a simple and fast knit, and reminds me a lot of a design I did a long time ago, the Icelandic winter cap. I used a Canadian lopi-style yarn from Custom Woolen Mills (purchased on our family's adventure to Alberta last summer) but Istex Alafoss Lopi from Iceland, is a great choice, if you can get some. If not, any bulky yarn will do! This winter, most photos have been taken indoors. It seems like every time the weather warms up enough so that someone wants to pose outside, or the camera won't freeze? Well, that's when everyone's too sick for a photo shoot. I must have had a premonition when I wrote that last blog post. I stayed indoors with one (or two) sick kids from February 10 through 15, and today is the first time they've both gone back to school. I'm worried--somebody might keel over...but I was a bit desperate to go grocery shopping, and do some work uninterrupted. (Writing columns to a deadline while trying to tune out PBS kids' shows can be hard.) And well...frankly, I could not wait to be alone again for a few moments! I have a habit of attempting to publish a pattern around Valentine's Day. Some years, this works out. Other years, well, something gets in the way, and what was intended to be a Valentine's Day release (or before Valentine's...) doesn't work out. Some years I run a big sale. Sometimes nothing happens at all. I am working ahead this time, because, well, it turns out that when everyone has been sick, you cannot predict what things will look like a day or two away. I've been trying to rest a lot, but in the meanwhile, things still seem to be happening online, with or without me--patterns and articles I wrote a long time ago are finding their way in the world, without my help, and that is heartening. 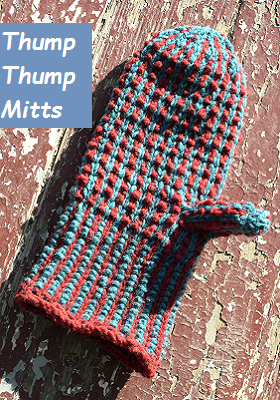 Last year, I published the Thump Thump Mittens, (Be still my heart). Another year, I did the Hole Inside Mitts, which is really more a story about heartbreak...but relevant to Valentine's. Long ago, I designed the Heart's Ease Socks, while pondering things that cause heart ache. Distal was first published long before Valentine's, but I knit the red version out of handspun for myself...and it became my go to shawl/scarf for this cold time of year. A long (long) time ago, I came up with the Turkish Lace Camisole, but I'd have to say that unless I'm wearing the dark green linen version of these, as a layer, it doesn't get much use these days...and definitely not over a bathing suit :) The post-twin figure doesn't lend itself to this item, but surely someone out there needs something fetching for a cruise or mid-winter trip to somewhere warm....? This is a circuitous way of saying that I've got a new pattern coming, and I'm working on it. If I feel up to it, it might be published by Valentine's Day...?! Or not. In the meanwhile, I'm showing you lots of happy red items to knit,(Just look away from all that winter weather if it gets you down and knit--it is cheering!) and all these patterns are also available on Loveknitting.com, which is selling a lot of patterns these days...complete with the yarn to make them. I got my own little present today--The Jewish Independent, a Vancouver publication, posted an article that I wrote that I'm especially fond of. It combines two of my great loves: Talmud and working with wool (knitting/spinning, etc.). It's called In the spirit of Jewish law. Stay warm! Knit (and wear) wool! As a dual citizen, (and my husband and I have each lived abroad in a third country--so, experience with 4 countries' health care systems between the 2 of us) I am often asked to compare our health care system in Manitoba with US health care. This is an impossibility; it's like comparing anchovies with oranges. If someone asked you to do this, you'd say, HUH? Why? In the US, health care is different in every state. Even more complicated, it varies enormously from one city or region to another. (Health care in Northern Virginia, near DC, as compared to, say, the stats from Appalachian Virginia) Health care in upstate New York or Durham, North Carolina was vastly different than when I lived in Kentucky...it varies so much in the US from one place to another and is so uneven that if you've lived in a variety of places, you know these generalizations are useless. The same can be said about Canada--although health care is "free" here, it's actually paid for by our taxes, and there are fees on top of "free" that vary from province to province. It's also different in each province, and again different, when comparing regions: a city, for instance, as compared to a rural area. 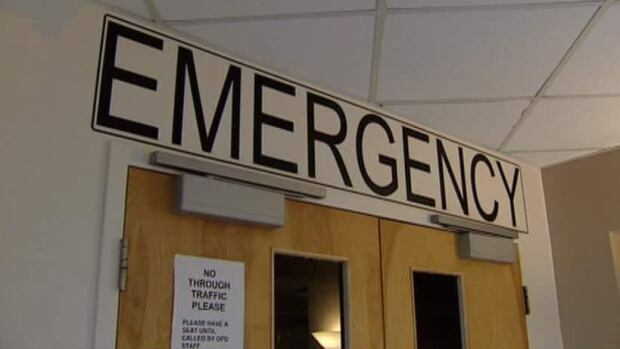 How would Manitoba handle an epidemic? Here is a quick post with some fun stuff. We're having some very cold weather, but it comes with benefits. The sun is shining bright. I made some strawberry sorbet from freezer strawberries-- picked last summer--and set the container outside to refreeze. (faster than the freezer!) And, apparently some folks saw moon dogs...as well as sun dogs. Whoa. I linked this to the CBC article, and the moon dog is that double circle you see around the white thingee (the moon)--the shiny building to the right is the Manitoba Legislature. Finally, I got a note, out of the blue, saying that my blog made Feedspot's Top 40 Canadian Knitting Blogs. Full disclosure, the top blogs are from big names like the Yarn Harlot, yarn shops and yarn companies...and I'm something like 34th. However, it's nice to be included with the bigwigs--especially because actual knitting is going very slowly here.